BY JOHN BONINI Writing for email may be one of the most difficult jobs in marketing. Writing for email may be one of the most difficult jobs in marketing. And subject lines? You have just a few short words to compel your subscribers to open, otherwise all that copy you wrote has significantly less impact. The words we choose matter. 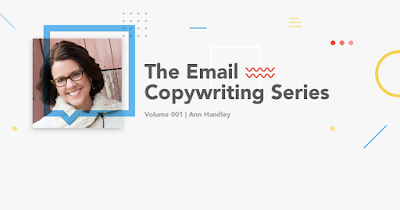 This is why we’re launching The Email Copywriting Series, where you’ll find interviews with some of the top minds in writing talking about how to write better emails. 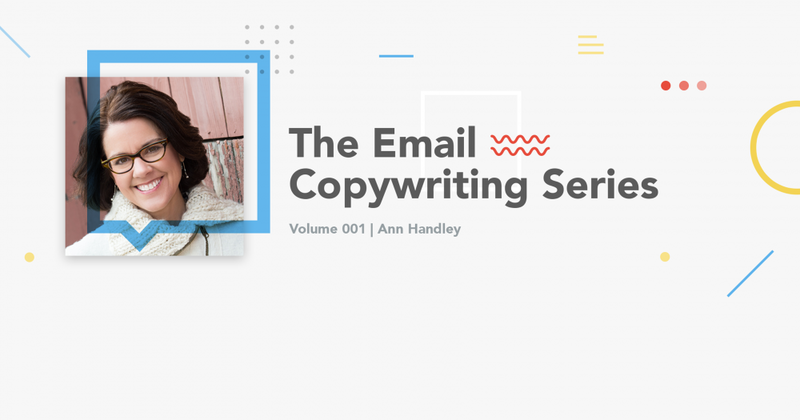 Our very first installment features Ann Handley, Chief Content Officer at MarketingProfs. When it comes to writing well, there are few people who get it more than Ann. She pioneered a movement when she founded ClickZ in 1997, one of the first sources of interactive marketing news and commentary and on the web. Cited in Forbes as the most influential woman in Social Media and recognized by ForbesWoman as one of the top 20 women bloggers, Handley is one of the foremost authoritative voices on the topic of writing for business. Q: Receiving emails that are both relevant and interesting is so rare. I’m always impressed at how your newsletter from AnnHandley.com consistently achieves both. How do you approach writing such compelling emails that keep your audience engaged? People don’t think before they put out the ink. It’s so easy to write long and include everything than it is to go back, edit, and decide what to include. Shorter is harder to write than longer. Just that simple act alone of writing what you want to write, then going back to edit it with an eye toward the recipient is huge. It sounds so obvious, and so simple, but you should look at my inbox right now. It’s filled with emails from people who didn’t do that. They just threw it up there, and a five paragraph email could’ve easily been half that. Q: If writing shorter emails is harder, how do we begin to write more succinctly and effectively? The key is understanding the one thing you’re trying to convey. It should only be one thing. You shouldn’t have four or five calls-to-action, and if you do, you should really go back and reconsider sending only one email. Every email should have just one key point. Boil down your message, not only to an elevator speech, but literally a tweet. You should be able to convey the key idea in just a word. That doesn’t mean that every email has to be that short, of course, but I think the key idea behind it should be very succinct. I make a habit of writing the key idea behind anything I write in bold at the top of my draft. This way, I can refer back and ensure that I’m always staying true to what I’m trying to convey. Once you get clear about what it is you’re trying to say, building a short message around that and not wasting the audience’s time is much easier. Q: You talk a lot about not just being empathetic, but achieving pathological empathy with your subscribers. How can marketers go about that? The notion of pathological empathy really means to focus relentlessly on the recipient. And it’s something you can work at, I don’t think we’re all naturally empathic. You really do need to put yourself in the midst of the person you’re writing to. Having enormous empathy for the problems that they’re having, and the solutions that you offer, and not just talking about the features and benefits of what you offer but putting it in the terms of how it helps them. I think a very easy place to convey empathy is in your calls-to-action. It’s a subtle shift, but it’s an important one. Because you suddenly realize this isn’t just about starting a free trial, it’s actually about what that free trial will do for the recipient. Q: How do successful companies align their messaging with the problems their audience is having? Talk to them. In my experience, a lot of marketers don’t actually talk to customers. Sales talks to customers. Customer service talks to customers. But a lot of times marketing doesn’t. So just make it a point to have conversations with the people you’re communicating with. That could mean picking up the phone every once in awhile and calling five customers and getting a feel for their challenges, or sending out a quick survey with a few challenges you want to ask about. Do this once every quarter and keep your pulse on the problems your audience is having. At MarketingProfs, I actually get a ton of insight just by listening on Twitter. So not just sharing and broadcasting on social networks, but just listening to what marketers talk about, showing up at Twitter chats, not so much to talk, but to hear the conversation. To understand what the point of view is of marketers in different industries. That type of social prospecting can yield a lot of data that you can then use to inform the email that you’re putting out there. Q: How can brands balance being personable, as you often do, while also being profitable? It really depends on who you are as a brand. A lot of companies can’t easily define who they are. And very often the answer is no. And a lot of companies haven’t done this exercise and know who they are. I believe every brand is human and should speak directly to the humans they’re trying to connect with. And if it doesn’t feel right, then who are you? But a super simple thing brands can do is come up with three attributes that define who you are as a company and what you’re like to deal with. Using your voice to differentiate your brand is a huge advantage. Q: How do you achieve personalization in your own emails? Pay attention to your writing and value your writing as a way to convey all of these things we’re talking about. Instead what it means is really taking that human tone and writing for one specific person. I do that all the time on my own blog. I always think about, “who is this really going to help?” So coming at it from that perspective and writing to one person and not just a nameless, faceless mass of people– that alone can help. I think it’s important for companies to approach their marketing from a place of humility, to respect their audience. To put themselves out there to support their audience in any way that they can. Just starting there is a great place to start. Q: How long should an email be? In general, I think shorter is better. I think brevity always rules. I think if you could say it more simply, you should. If your writing requires more space, I’m not against long messages. What I am against is wasting the time of the audience. As long as you respect the audience and you’re coming from a place of humility, I think it’s completely fine to write as long as you need to. But nothing self-indulgent. Don’t waste the time of your audience. Q: How do you reengage an unresponsive email list? Offer them an opportunity to speak back with you. What is it that isn’t satisfying you in this particular exchange? You might find that it’s just not going to be of any interest to them. That’s okay. I wouldn’t spend a whole lot of time trying to reengage people who aren’t interested. Ultimately, if they’re not interested, they’re not interested. I don’t think it’s a wise action to try and reengage people after you’ve given them one last shot. Q: In Everybody Writes, you list out writing rules for various aspects of copy. What would you say the email rules for writing are? I don’t think my approach to writing email is all that different to writing anything else. Thinking about the recipient as being one person, not just a mass of people or a customer segment, is enormously helpful because it allows me to write in a more natural voice because I’m writing to one person in the space of their email inbox. The other thing that it does is it forces you to think about the value you’re trying to convey when it’s only one person. Get all of your ideas out in a first draft. Do not self-edit or worry about anything other than getting words on paper. In regards to your call-to-action, don’t amplify the act of proceeding, amplify the value of it. Define three attributes that define who you are as a company. These should dictate the voice and tone of all of your messaging. Think about the recipient as being one person, not just a mass of people and/or customer segment.